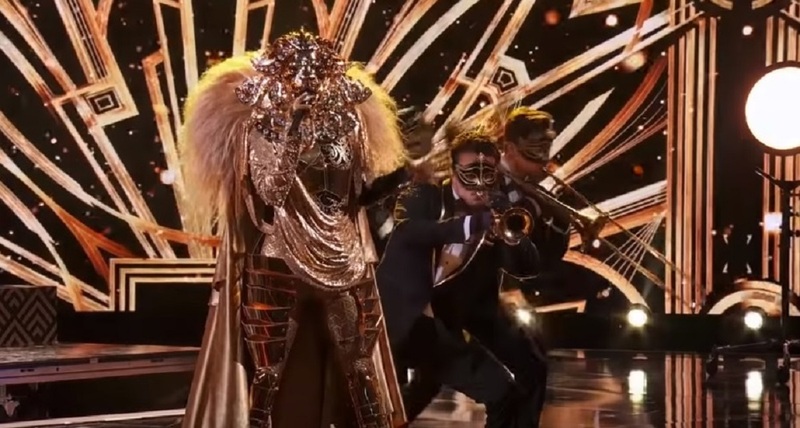 The Lion was one of the six remaining mystery celebrity singers who performed in “The Masked Singer” Season 1 episode 7 titled “All Together Now,” which aired on Fox on February 13, 2019. She competed against the Monster, the Alien, the Bee, the Rabbit and the Peacock. Before performing, the Lion talked about the old days in Chicago and referenced again about having sisters. She also mentioned about going solo. The Lion was the second to perform among the six contestants She sang “Diamond Heart” by Stefani Joanne Angelina Germanotta, who is professionally known as Lady Gaga. “Diamond Heart” is a song from Gaga’s fifth studio album titled “Joanne,” which was released by Streamline and Interscope Records on October 21, 2016. She co-wrote the song with Mark Ronson and Josh Homme. After the Lion’s performance of “Diamond Heart,” Scherzinger thought she could be a country bluegrass singer but Smoove disagreed. For McCarthy, the masked singer it could be a former member of a girl group like Melanie Brown, who is professionally known as Mel B and was a member of the English pop girl group Spice Girls. Thicke recalled an old clue in which the Lion was reading a newspaper with the headline “Gold Found in Hailey” and connected it to the new clue mentioning “true grit.” This made Scherzinger think she could be “Pitch Perfect” star Hailee Steinfeld.